Kimorah with her parents, Tupe and Rita. 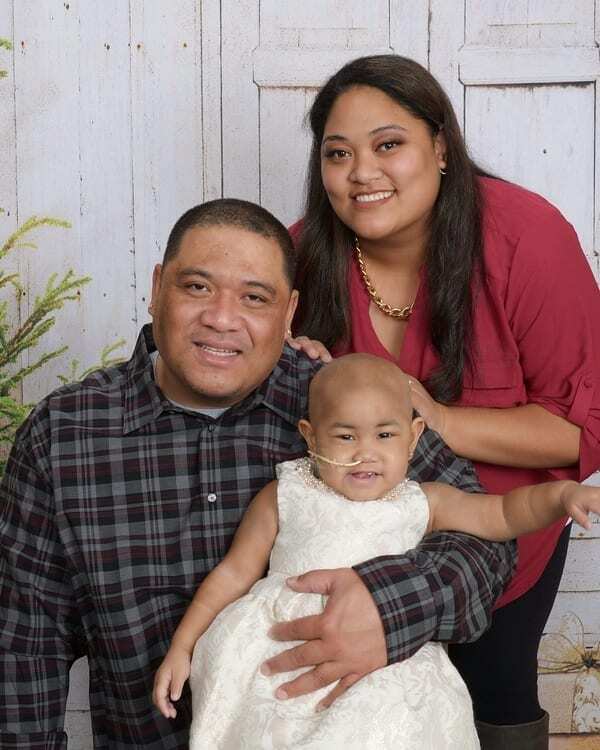 When 2-year-old Kimorah was diagnosed with acute lymphoblastic leukemia, her family dropped everything and moved from their home in Anchorage to Seattle for treatment. Kimorah first came to Seattle Children’s for a bone marrow transplant in the fall of 2017. She has since been readmitted to the hospital repeatedly for cardiology and various other reasons. The family is staying at the Ronald McDonald House and the cost of daily living is challenging. Dad applied for local work just outside of Seattle and works intermittently between Kimorah’s many appointments. When the family depleted their savings, they went to their social worker at Seattle Children’s in need of financial support for transportation. Their social worker turned to Family Reach when she learned of the financial devastation cancer had brought upon this family. Our partnership with Zipcar allowed us to provide Tupe and his wife, Rita, with more than $5,000 worth of Zipcar driving hours. This ensured the family had safe, reliable transportation to the hospital for Kimorah’s frequent visits and provided Tupe with a way to get to work, allowing him to maintain a source of income. The family also received direct financial support that helped them keep up with utilities and phones bills during this vulnerable moment in their journey. This assistance was more than a kind gesture for Kimorah and her parents. It played an essential part in their treatment plan, allowing Kimorah to stay on track with her care while living in a supportive, stable environment. Thank you, Zipcar and Family Reach community, for making this comprehensive support possible. Interested in helping more families like Kimorah’s? Become a Key Holder.